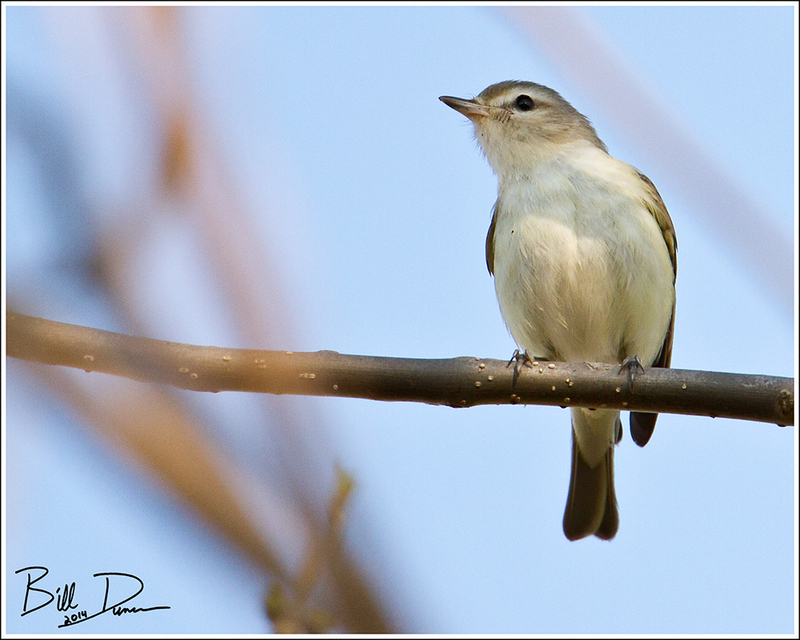 At riverine locals like RMBS, the warbling song of the Warbling Vireo can be heard all day long throughout the summer. 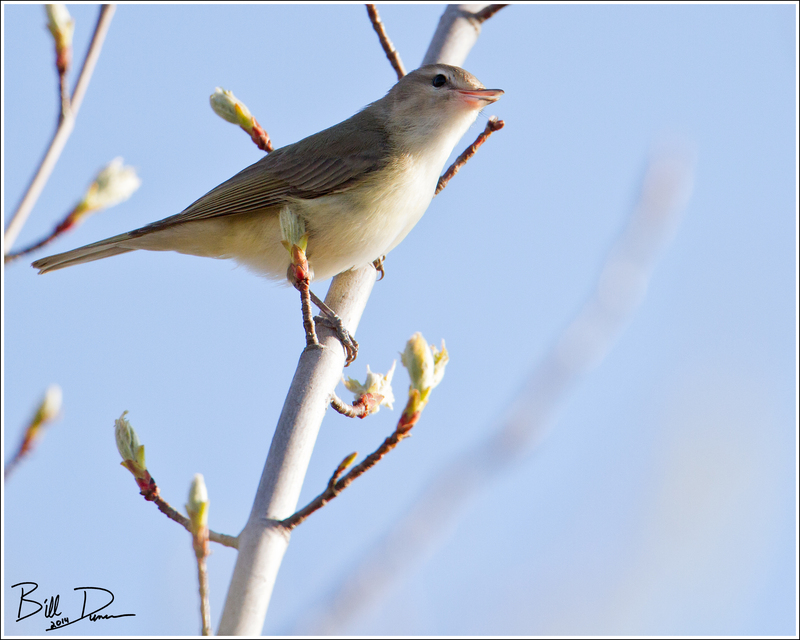 However, they have always given me grief when it came to getting a photograph – lurking shyly among the leafy branches of the Cottonwood. This year, I hit a trail where I know they set territories for nesting. Early in the spring, before the leaves expanded, I was able to follow this guy as he made the rounds and get some photos.